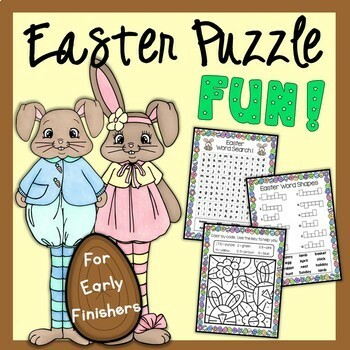 This Easter-themed Puzzle Pack contains a wide range of fun puzzles, some differentiated. 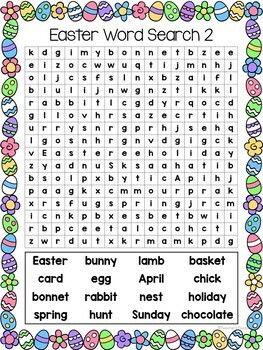 Should you wish to compile all the activities together into a workbook for your students, I have created a workbook cover, in both color and blackline. Just print, collate, staple and you're ready to go! 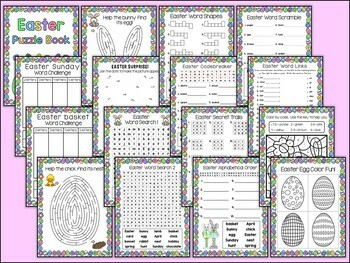 The word challenges can be used for small group work or centers. 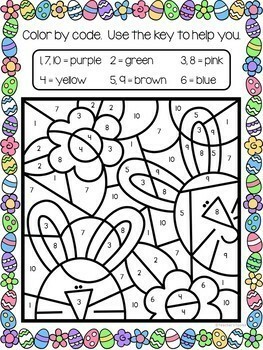 The puzzles, plus keys, have been created in both color and blackline for your convenience.